Johnny Bench is a former catcher who played in the Major Leagues for the Cincinnati Reds from 1967 to 1983. Bench was elected to the National Baseball Hall of Fame in 1989. Bench is a 14-time All-Star selection and a two-time National League Most Valuable Player, was a key member of The Big Red Machine, which won six division titles, four National League pennants, and two World Series championships. ESPN has called him the greatest catcher in baseball history. Sports Speakers 360 is a booking agent for pro athletes. 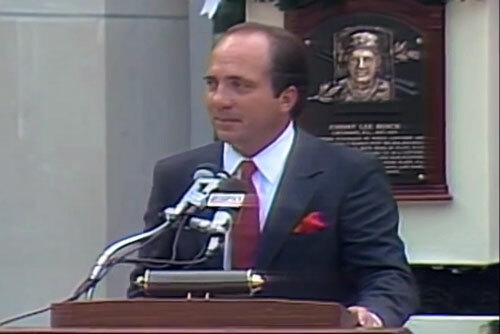 If you would like to book Johnny Bench for a speaking engagement, appearance or endorsement, contact a Johnny Bench booking agent for fees at 1.855.303.5450.